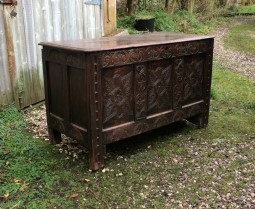 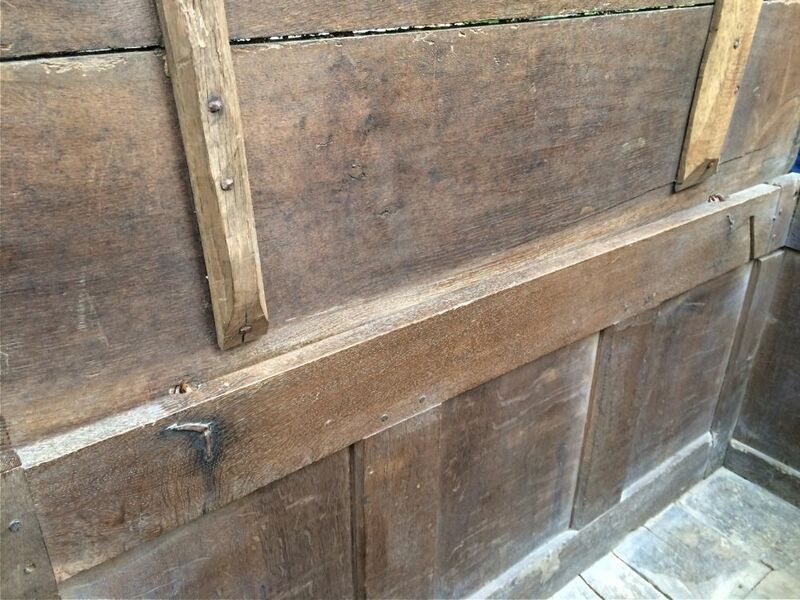 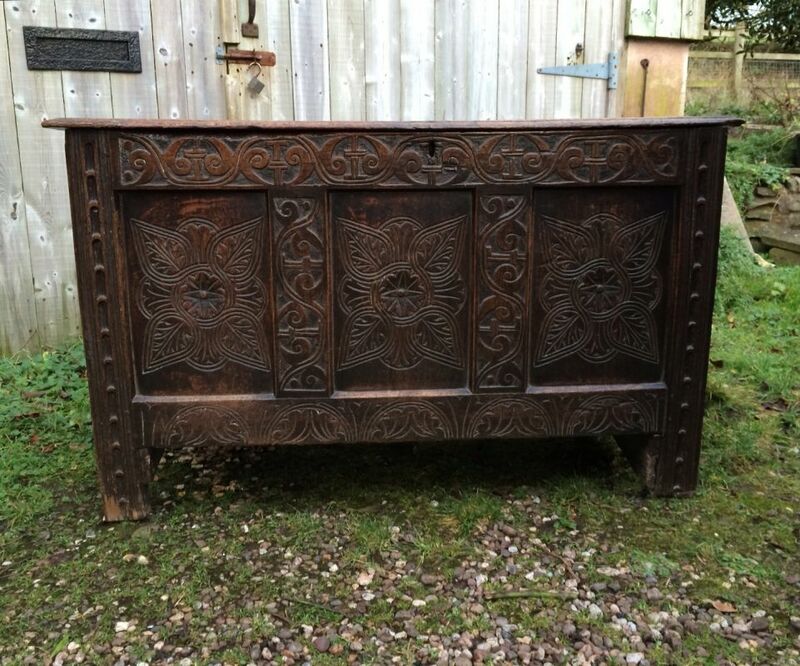 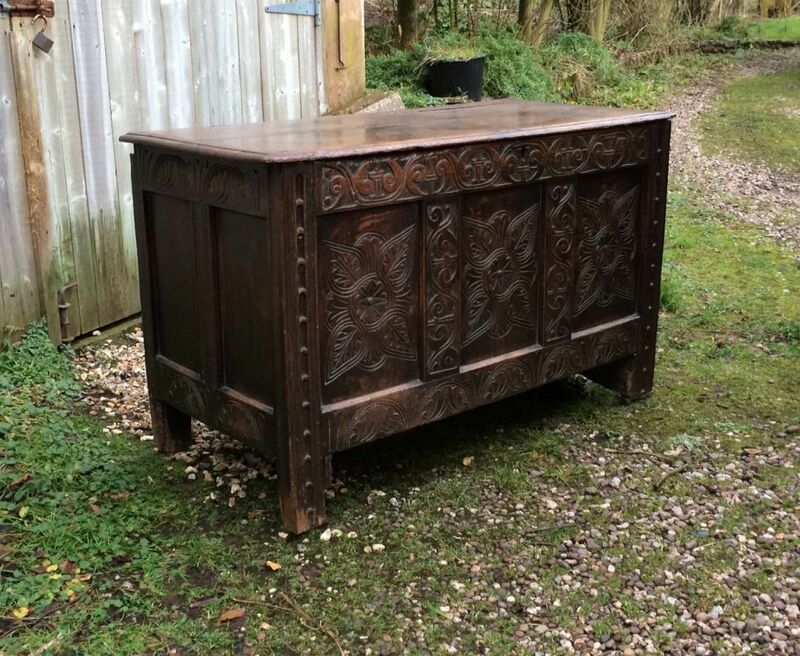 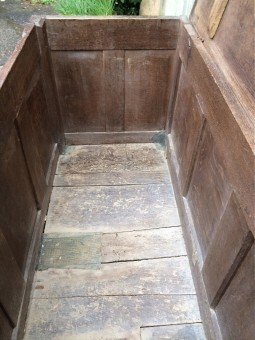 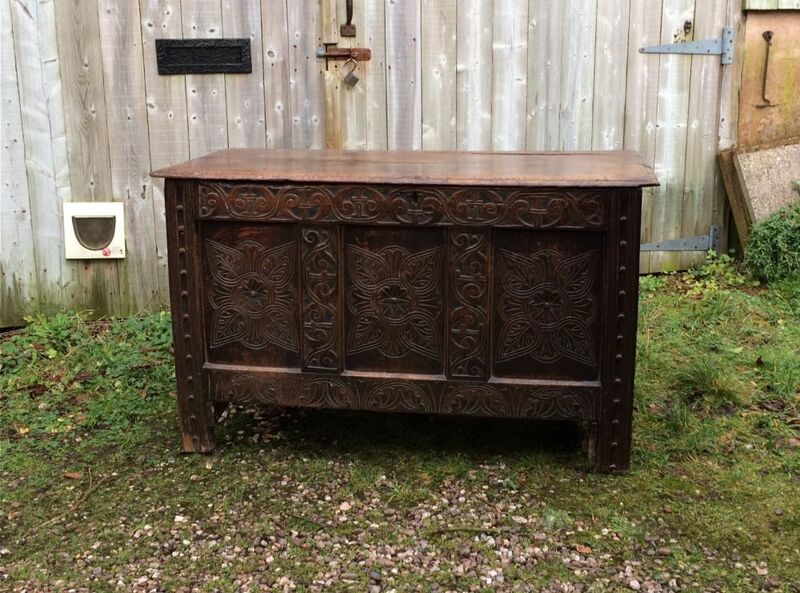 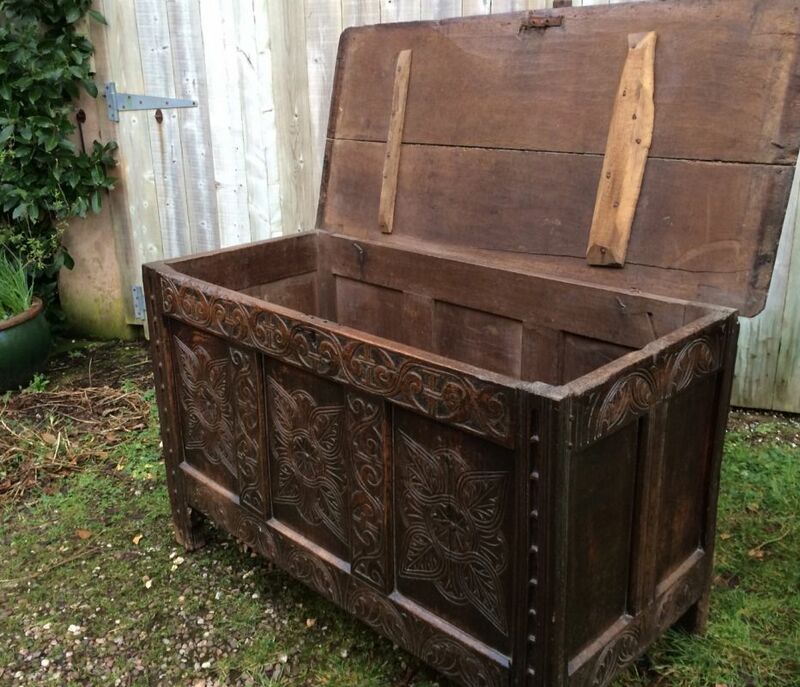 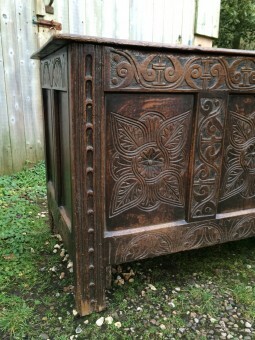 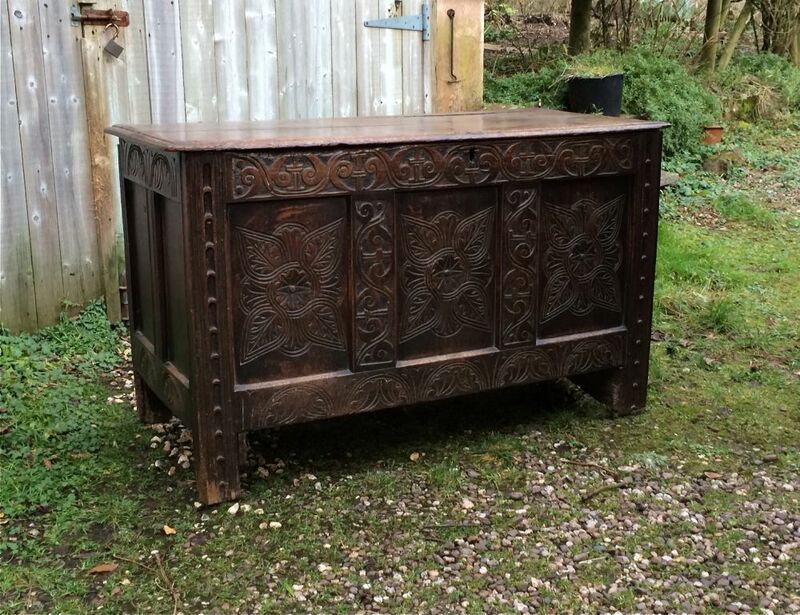 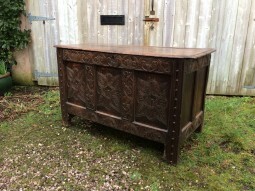 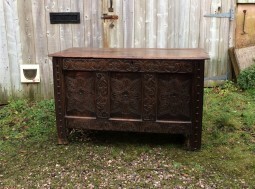 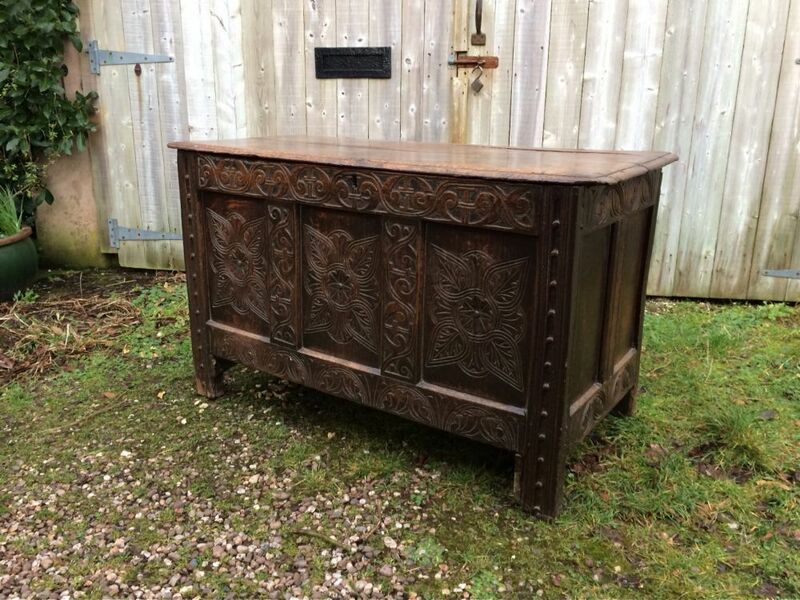 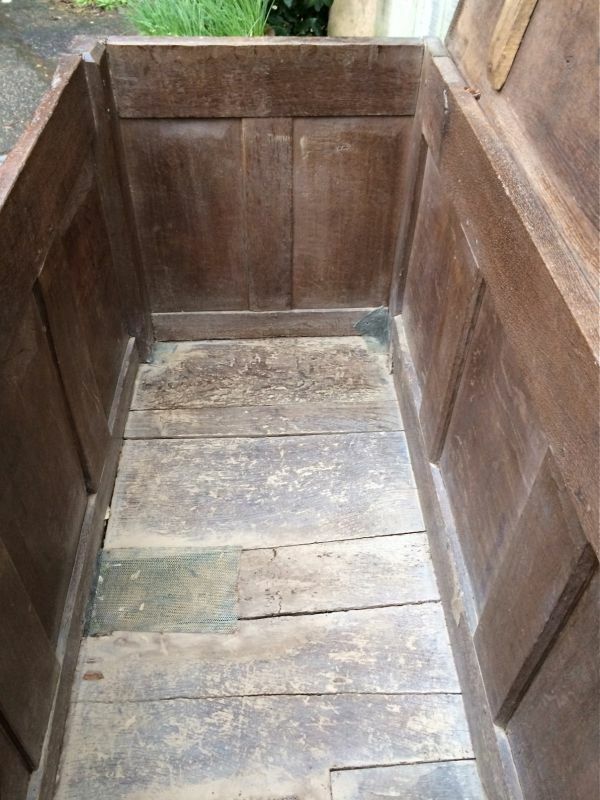 17th century westcountry oak coffer, probably from the Devon and Somerset borders with original carving which is typical of this area. 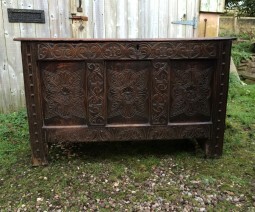 It has a lovely untouched and not over polished look. The top comprises two flat planks fitted with wire cotter hinges. 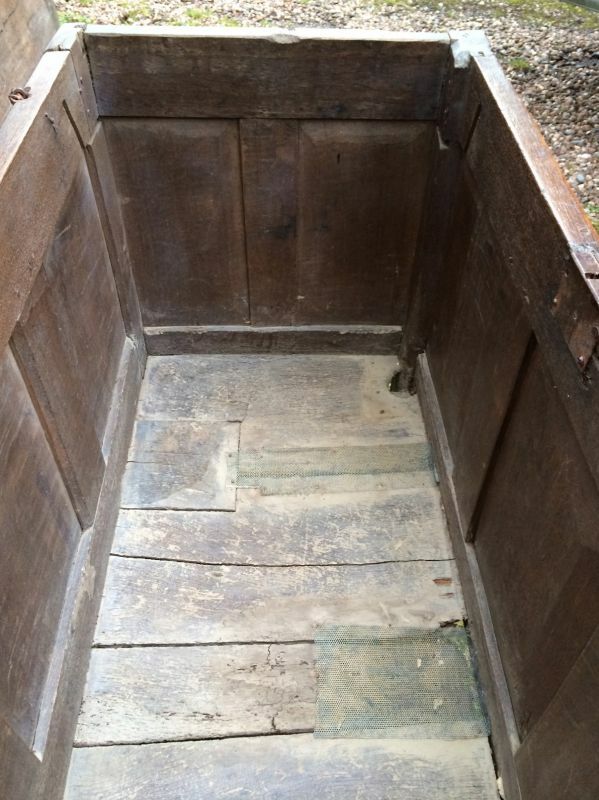 Inside you can see the base boards are intact but only with some old repairs using mesh from an old meat safe. 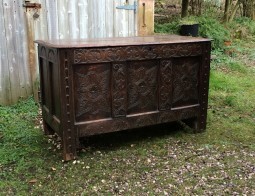 This is a good genuine coffer of great colour that hasn't been messed about with. The measurements are 53½ inches wide, 23½ inches deep and 32 inches high, 136 cm wide, 60 cm deep and 81 cm high.